NOW you can snap a picture and see it only a minute later. The camera that does this is an entirely new type. 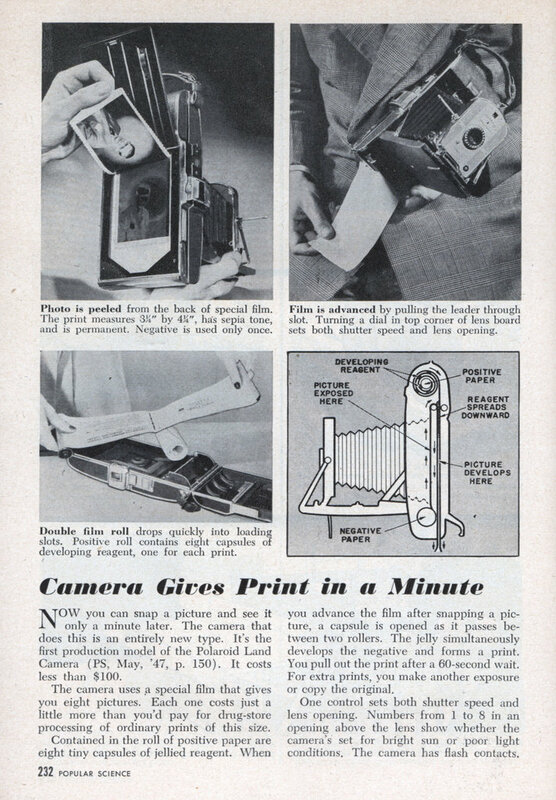 It’s the first production model of the Polaroid Land Camera (PS, May, ’47, p. 150). It costs less than $100. The camera uses a special film that gives you eight pictures. 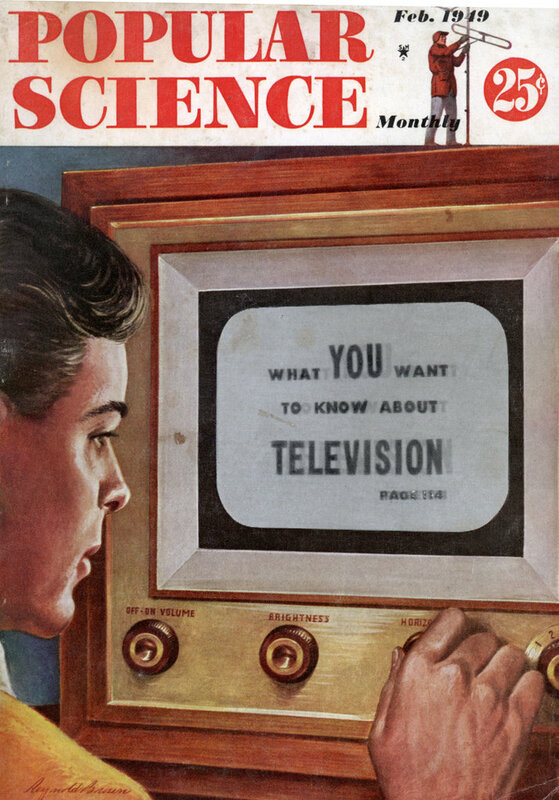 Each one costs just a little more than you’d pay for drug-store processing of ordinary prints of this size. Contained in the roll of positive paper are eight tiny capsules of jellied reagent. When you advance the film after snapping a picture, a capsule is opened as it passes between two rollers. The jelly simultaneously develops the negative and forms a print. You pull out the print after a 60-second wait. For extra prints, you make another exposure or copy the original. One control sets both shutter speed and lens opening. Numbers from 1 to 8 in an opening above the lens show whether the camera’s set for bright sun or poor light conditions. The camera has flash contacts.